The Triangle Trip Team would like to congratulate The Coach for making SPG Lifetime Platinum, and Terminal D and Captain G for making SPG Lifetime Gold. 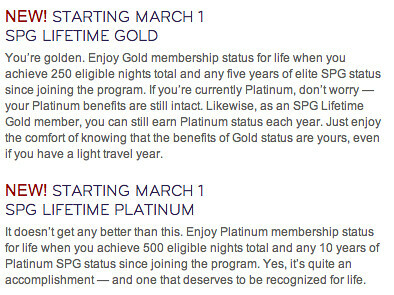 Here’s a link for more more information about SPG Lifetime Gold and Platinum statuses. Starwood (SPG) just announced new benefits including SPG Lifetime Platinum and Gold members. If you have 500 eligible nights within the past 10 years, you will be made Platinum for life. With 250 eligible nights within the past five years, you will be made Gold for life. Lifetime Membership begins March 1, 2012. 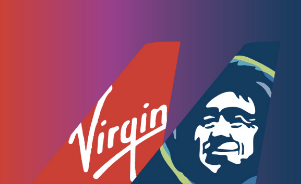 In addition, SPG Platinum Members who reach 75 Eligible Nights during a calendar year will qualify for the Your24 benefit through the following subsequent calendar year. With Your24, you can check-in as early as 9AM as long as you give the hotel a 48 hour advanced notice. SPG 75 Platinum members will also receive 4 points for every $1 spent at a SPG hotel. SPG Gold Members with 50 Eligible nights during a calendar year will get 10 Suite Night Awards which is used for upgrades. SPG Platinum members are given continental breakfast as a complimentary gift. That’s in addition to the free WiFi platinum members get today. SPG continues to wow us with great perks which makes them a the best loyalty program on earth. For more details, click on this link to the SPG Lifetime Benefits site.